Dating can be a hard and nerve-wrecking time for most of us. Constantly meeting new men, constantly putting yourself out there and constantly keeping your heart open while dealing with rejections and heart-break can take its toll on anyone. Sometimes, without meaning to, you end up committing various dating mistakes sabotaging your love and relationships. If you are actively dating and seeking out your potential Mr. Forever and yet nothing seems to fall into place for you, chances are that you are falling prey to one or more of the mistakes that I list below. So what are the 3 most prominent mistakes you could make in your love and relationships, when you are looking for your soulmate? When you date, you are clearly looking to find your love companion. Somehow sub-consciously and without even realising it, you may have started to believe that someone else out there in the world holds the keys to your happiness and well-being and when you find that one man, all will fall into place and life will become magically beautiful again. Little do you realise that, by adopting such an attitude, even if it’s unconscious, you are seeking love outside of yourself. When you seek love outside of yourself, you essentially seek validation or approval from the outside to fill you up on the inside and to tell you the truth – it never works! This attitude, unfortunately, reeks of desperation and neediness, and changes your whole vibe. When you meet a man who could be your Mr. Forever, instead of watching and objectively assessing how willing he is to please you, you rely on him to fill up your life and your needs of attention and affection. Overtime, this kills attraction and pushes men away, because it’s too much pressure on a man to take up that responsibility. Hence, to avoid this first of the dating mistakes that women often make in love and relationships, your best bet is to provide yourself with all the validation, love and attention you need, so that when you get out into the world, you are not seeking it from anyone. Instead, you can simply enjoy whatever comes your way and decide if it’s worth your time or not. It happens very often that although we are dating, we haven’t taken a moment to stop and reflect on what qualities we actually want to see in our potential partner. By these qualities I don’t mean superficial things like he should look good and have a charming personality, but more defining qualities that are important for a long-term relationship – like honesty, treats me well, has a good relationship with his parents. So many women keep meeting man after man and dealing with so-called rejections even though, if they stopped and thought for just a moment, they would see how the man was a complete misfit in their dream relationship anyway. It is therefore a good idea to sit down with a pen and paper and spend some quality time thinking and feeling your way through what you really want out of love and relationships. This will help you to get clear on what you want and don’t want in your potential partner. It is an exercise I do with my coaching clients all the time, and it helps them gain instant perspective and clarity before they step out of the door for the next date again. This might be THE most serious of the dating mistakes sabotaging your love life. Real love takes time. Rushing prematurely into relationships prevents you from really getting to know the man in question and leaves you at the risk of surprises, heart-break and betrayal. Generally, rushing into a relationship happens as a result of chemistry-based decisions. You meet a man, you click instantly and, the next thing you know, is that you are his girlfriend. If you have been in a series of relationships that have not led to anything serious, you should know that speed is not necessarily your best friend when it comes to finding true love. Hence, when you meet someone next time and you both click instantly, make sure you don’t rush into a relationship. You want to slow things down and really get to know the other person over time. Physical intimacy too should come later than sooner. This way, you don’t get invested in any one man too quickly and you can objectively watch his behaviour and consistency overtime. Following just this one piece of advice can save you from a lot of heartache in my experience as a love and relationship coach for women. 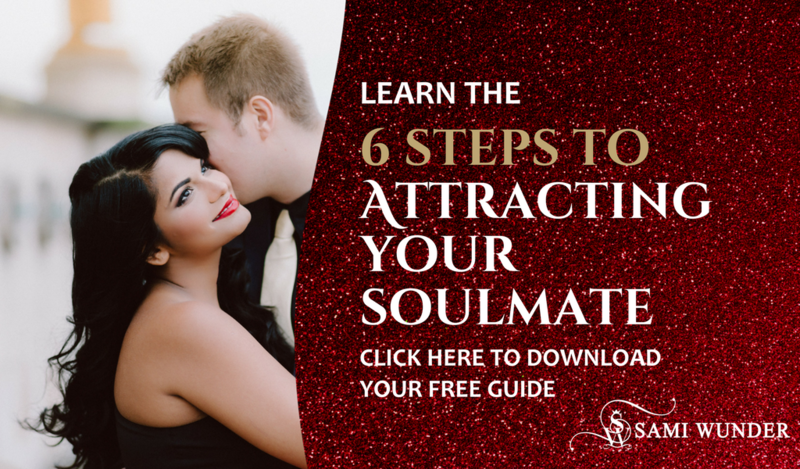 By avoiding these 3 dating mistakes sabotaging your love and relationships, you give yourself a much better, quicker chance on your own path towards soulmate-attraction. If you’re ready for more essential information that will help you in dating, check out the intro resources in my Diva Dating Toolkit. Content reproduced from the author’s article originally published on Relationship Headquarters.